Do we have Mr. Wonderful all wrong? 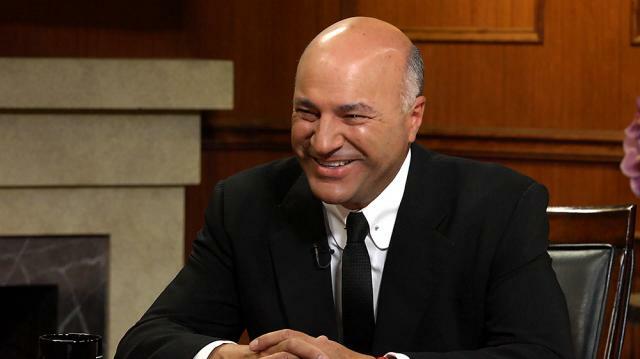 Kevin O’Leary comes clean about whether his mean-guy persona on ‘Shark Tank’ is an act, why he prefers to invest in women, and if he’s really considering running for Prime Minister of Canada. Famously ruthless businessman Kevin O'Leary, most known as one of the sharks on the reality competition series 'Shark Tank', sits down with Larry King to talk money, politics, and showbusiness. O'Leary gives the behind-the-scenes scoop on the ABC series, which returned to ABC for its eighth season on September 23--but he also gets deep with his personal financial and political beliefs, including whether he really considers himself Canada's counterpart to Donald Trump. Ironically labeled "Mr. Wonderful" on the 'Shark Tank' set, the tough judge goes in depth about the hit series, which he has appeared on for each of its eight seasons. O'Leary tells of his skepticism when first pitched the idea for the show, the keys to success he's learned from watching so many entrepreneurs' presentations, and whether his relationship with fellow shark Barbara Corcoran is as contentious as it seems. Plus, he explains why he thinks most of his successful business partnerships have been with women. But O'Leary goes beyond discussing his life on TV. The multimillionaire has recently publicized his political aspirations--he may run for leadership of Canada's conservative Opposition Party. With this as a starting point, O'Leary reveals his opinion of the 2016 Presidential race, Canada's Prime Minister Justin Trudeau, and what he calls the "political mediocrity" of many members of the US and Canadian governments.